Paper BAG, ivory tone with a decoration of cut stars. For a felted atmosphere, these bags are to be used with a tealight candle or a led candle. Paper BAG, ivory tone with a decoration of cut stars for a felted atmosphere. These bags are to be used with a tealight candle or a LED candle. 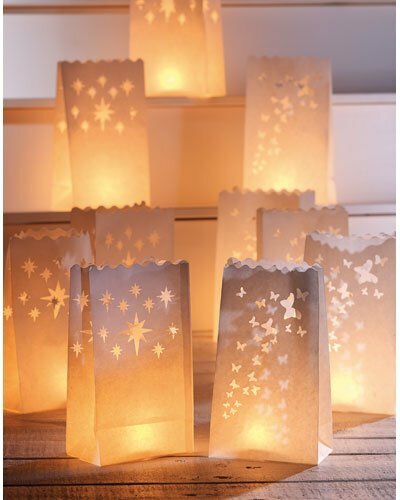 PACKAGE OF 10 PAPER BAGS FOR CANDLES. Paper of color matt ivory. Decorations cut on both faces and sides.